I haven't played the game in a few years and I never even tried to beat it bc it was so impossibly glitchy, but I really want to try LPing and I think this would be a fun game to start with, if anything because keeping a glitch count would be fun. For some reason I remembered it being drastically different from the first three, and other than the animation, it really isn't? That isn't trying to say it's a good game, though. I just appreciated that aspect of it, especially since even though AHT is considered "classic" in the sense that it's pre-reboot, it's really really really different. Good Luck with that! I'm sure in 2 glitchy heartbroken years you'll be able to do it. I've actually 100%ed Enter the Dragonfly multiple times on both the Gamecube(Though emulated for HD and better framerate) and the original PS2 copy. This game is one of my favorite games of all time. People always overlook the amount of thought that actually went into the game because of all the glitches. It's actually not that glitchy of a game. In all of my 100% runs of the game, I've only had it crash once, on the PS2 in Level 2(Crop Circle Country). The music in the game is phenomenal and the levels are a step in the right direction. I especially love how the developers actually wanted to make it classic like the old ones. 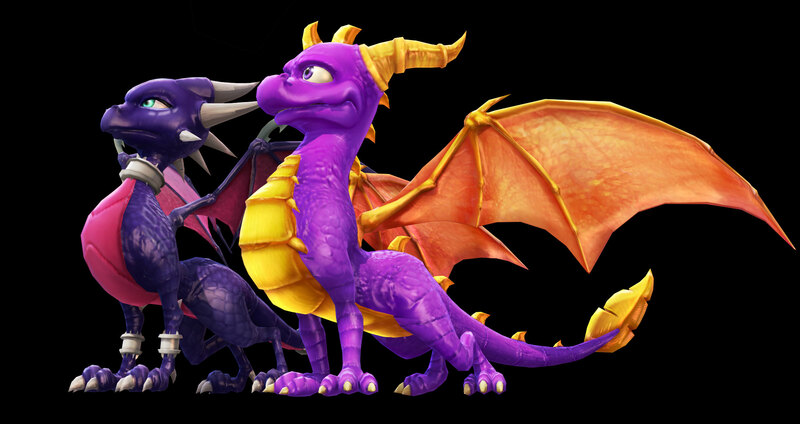 A Hero's Tail was the first game to change the Spyro series drastically, and I enjoy it less. I still like how the developers still cared for the original games. Anyway, good luck on that run. Some of the challenges(Honey Marsh Tank, Jurassic Jungle Volcano Slide) are really difficult. It's an amazing game though. I'm using the PS2 version. And you're totally right here. The game isn't hard, or at least it shouldn't be, but the glitchiness and bad controls have made it nearly impossible so far. I ran into a glitch that made me have to redo a really irritating challenge THREE TIME. Ugh.